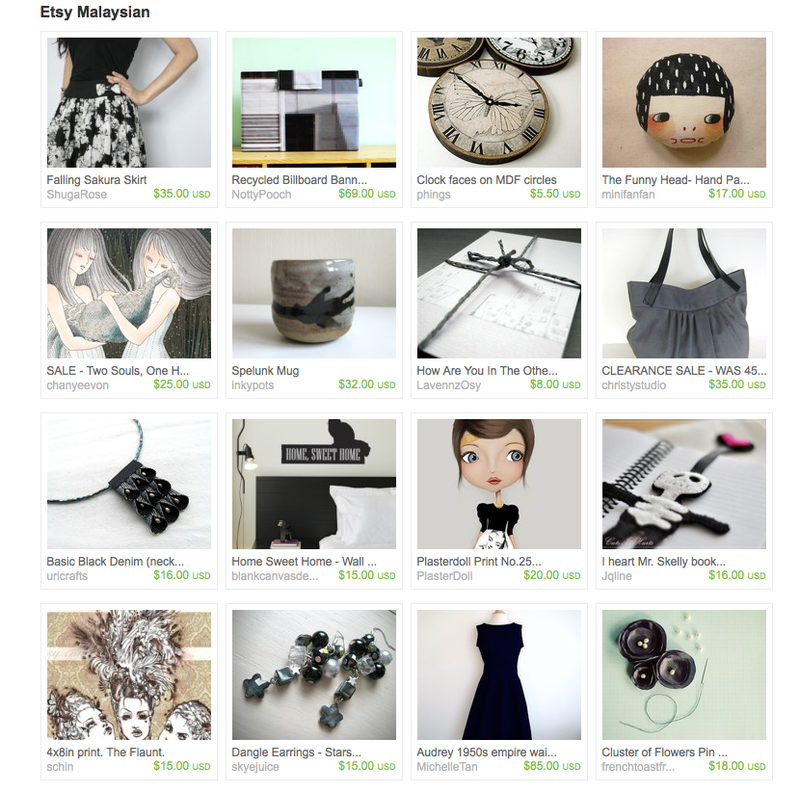 Managed to make a treasury for the team this afternoon. Wee! Check it out here! 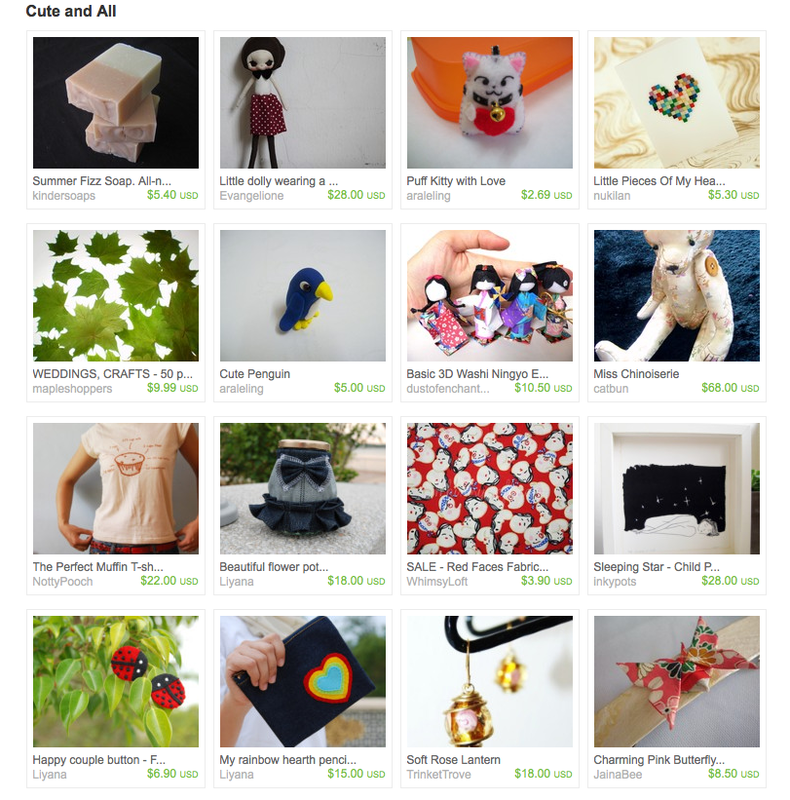 New member catbun made a treasury for the team! 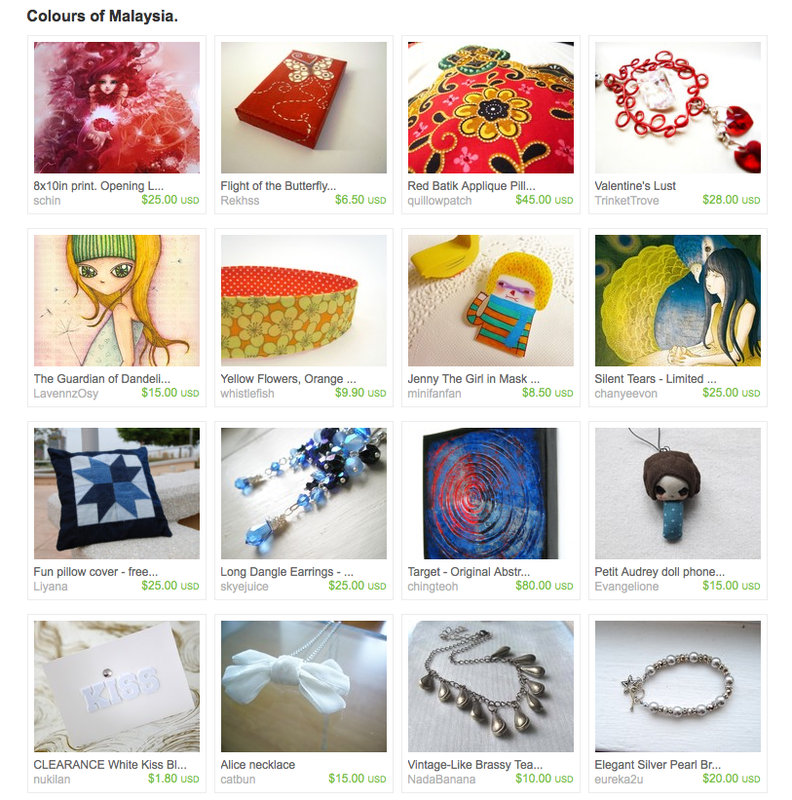 Welcome – and check it out here! 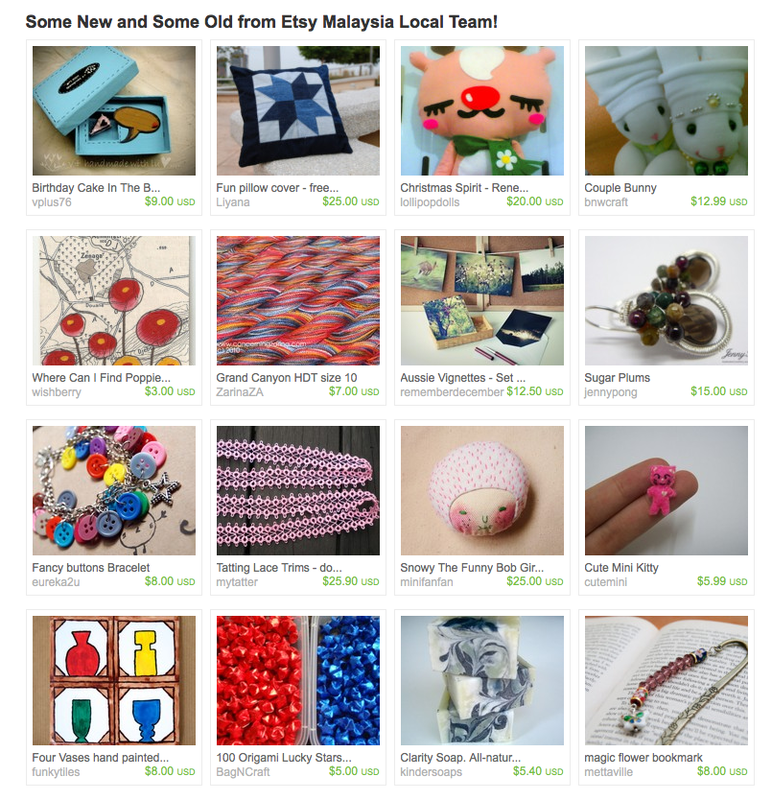 It’s been a while since we last had a team treasury! 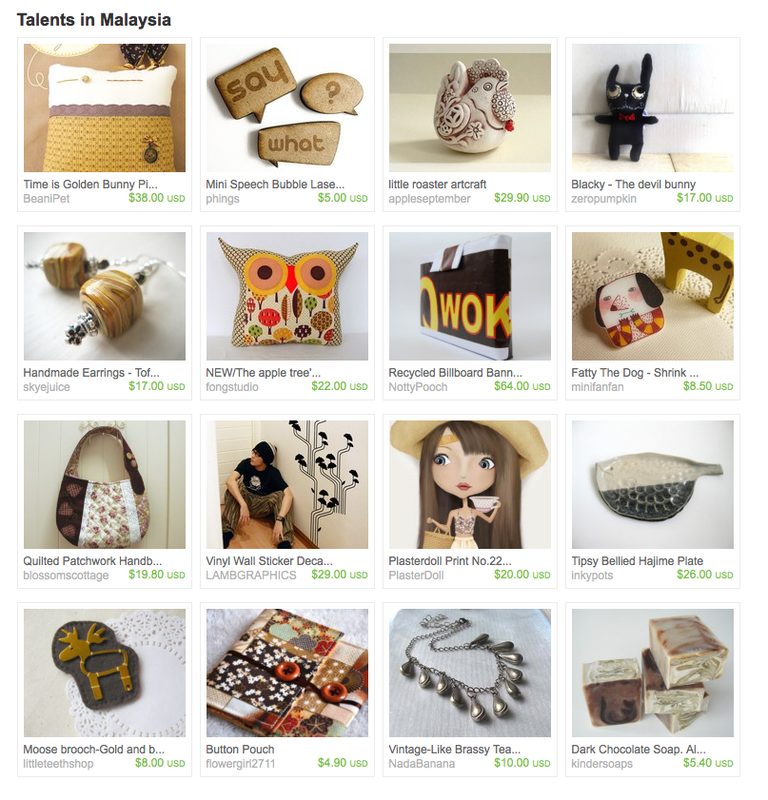 Now thanks to Pauline of zeropumpkin, we have one featuring some great Etsians from our beloved country! Check it out here! 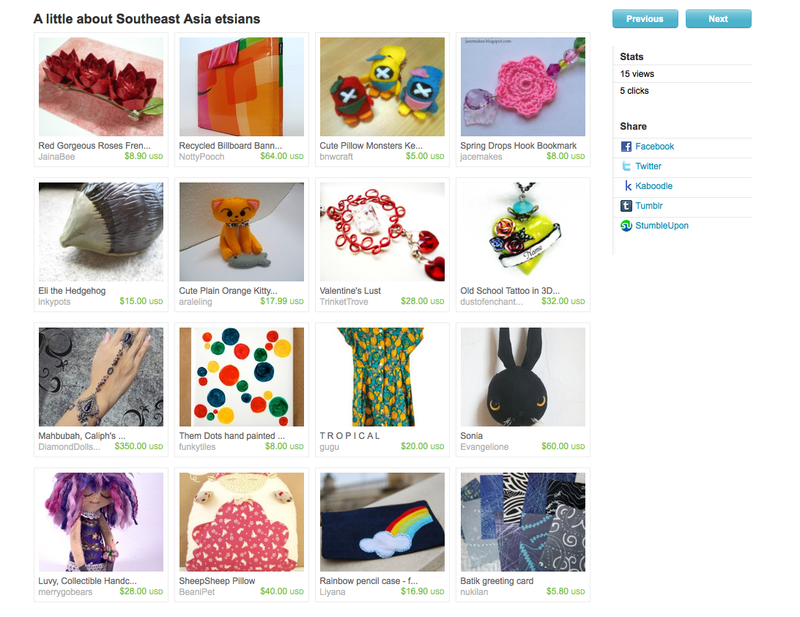 Alex of skyejuice has created an awesome treasury, featuring some great talents from our beloved country! Check it out here! 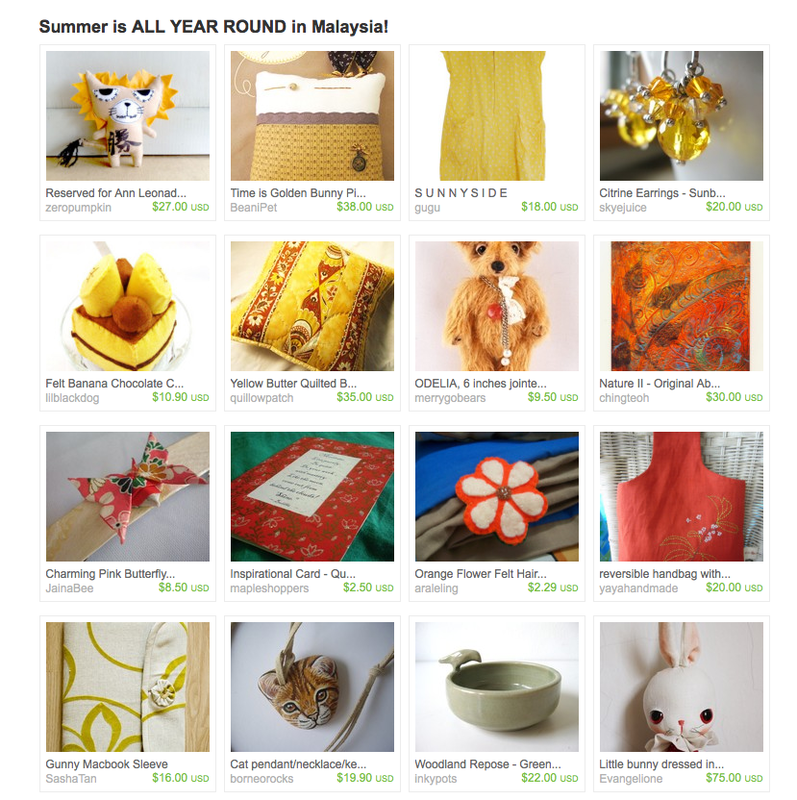 Check out Malaysia’s all-year-round summer in this Team Treasury! Check it out and greet them here! Check it out and spread some love here! Jancey Komati on Shipping Essentials.